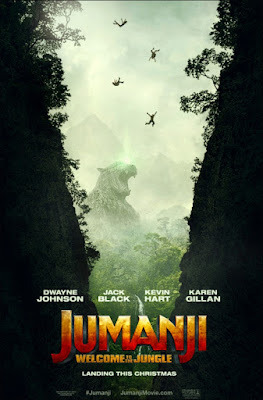 The new Jumanji remake will be in theaters on December 20, but if you're in the Detroit area, you can win a pair of tickets to see it for free at an advance screening! The screening will take place Monday, December 18, at 7pm at AMC Livonia. Seating is first-come, first-serve, so if you're one of the winners, I recommend getting there earlier to get your seats. The movie stars Dwayne Johnson, Jack Black, and Kevin Hart, among others. Jumanji (1995) is one of my favorite Robin Williams movies, so I'm excited to see how the remake measures up. Enter to win via the widget below. Giveaway will end on Sunday, December 9th, at 11:59pm EST, and winners will be notified via email the next day. Each winner will receive an admit-2 pass for the screening.